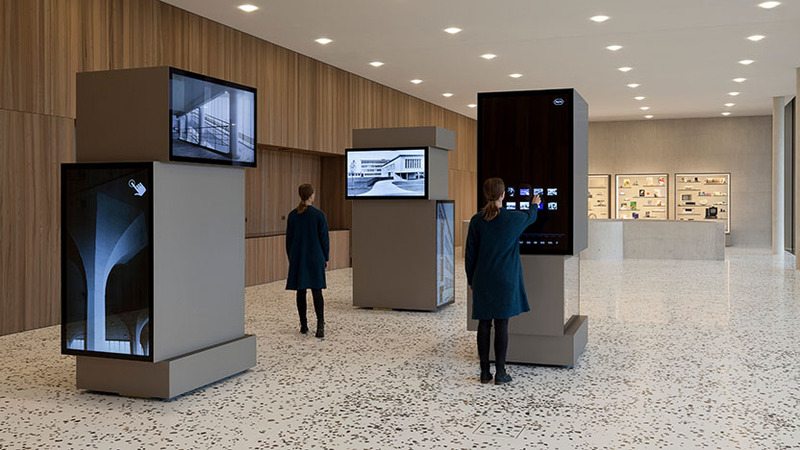 The visitor center of Roche in Kaiseraugst accommodates three interactive media pillars that reflect the different aspects of the company’s history such as “Roche sites”, “research”, “production”, “architecture”, “people” and “art”. Tweaklab was commissioned with the media technical planning and programming of the front- and backend of the media pillars. 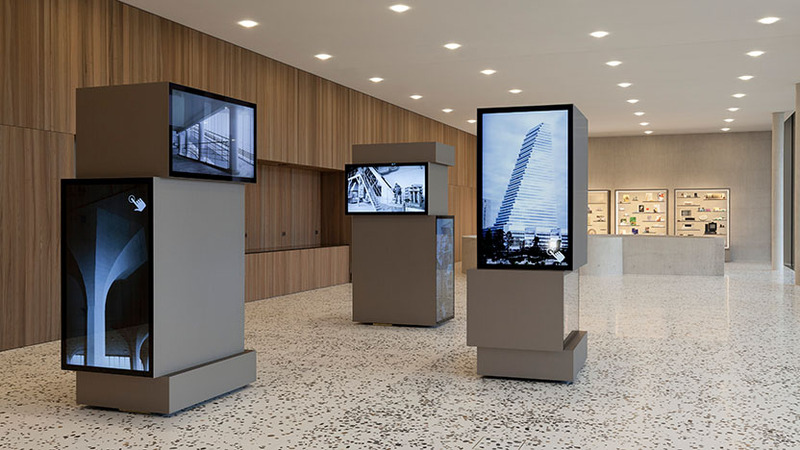 Each pillar consists of two touchscreens and two monitors. The menu navigation with its tiles is clear and distinct. The information about various subjects are in chronological order or available through different filters. The start screen is adapted to the particular position of the portrait format touchscreens and can be navigated either on the upper or lower side of the screen. 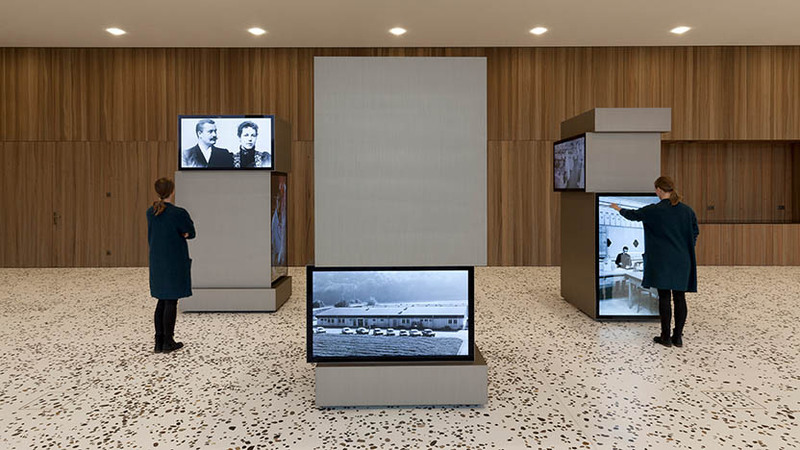 When in sleeping mode synchronized thematic images on all monitors of the media pillar are shown. The pillars are mobile and can be installed individually or as a pair. New permanent exhibition from November 2017 on.